One place I like to go to get away and fish, camp or just enjoy nature is Thomas Mitchell Park. Located just a few minutes east of Altoona and less than half an hour from the metro, its a great day spot. 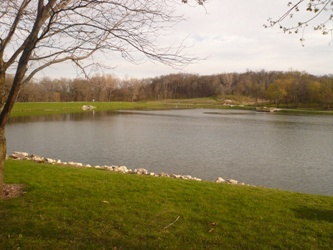 A pond stocked with fish, trails, playground, campground, shelters, ball fields and more. Thomas Mitchell is also a great place to learn a few outdoor sports. Canoeing, fishing, geocaching, creek walking, stand-up paddle boarding and more classes are offered at the park this summer. Head out and enjoy the great outdoors at one of the metros county parks!